The University of Tennessee Medical Center has a rich history in the East Tennessee community. This major medical center serves patients in Eastern Tennessee, Southeast Kentucky and Western North Carolina. The Lenoir City Outpatient Center offers patient access to communities in Loudon County, as well as, an alternative to emergency room wait times through the urgent care’s after-hours services. 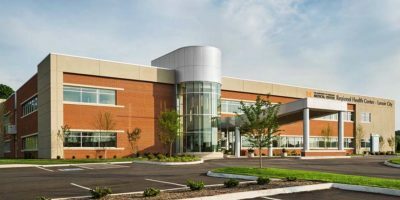 The center also offers convenient access to family practice, internal medicine and lab services, as well as, hematology/oncology and an imaging center. Johnson Development created a unique financing model to provide UTMC with maximum flexibility. During construction, Johnson development owned the project and provided 100% of capital required. UTMC purchased the project at completion with the option to negotiate a sale/lease-back arrangement in the future. Johnson Development served as developer and continues to serve as the property manager upon completion of the project.